This word might lead to some confusion: the English ‘gum’ is ‘gom’ in Dutch, and ‘chewing gum’ is ‘kauwgom’. But when your ‘gums’ are swollen, we talk about ‘tandvlees’ (‘tooth flesh’). 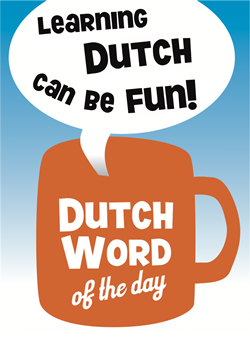 The Dutch will also say ‘stuf’ instead of ‘gum’, but when you want ‘stuff’ as in ‘drugs’, you just ask for what you want 🙂 Ok. And to our American-English readers: the equivalent for ‘rubber’ in Dutch would be ‘kapotje’, but people usually just talk about a ‘condoom’. Now that we are clear on the subject, let’s move on to the Examples. 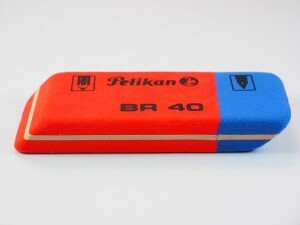 We’ll use ‘eraser’ in the translations in order not to be funny. – “Uitgummen”: to erase, to rub out.